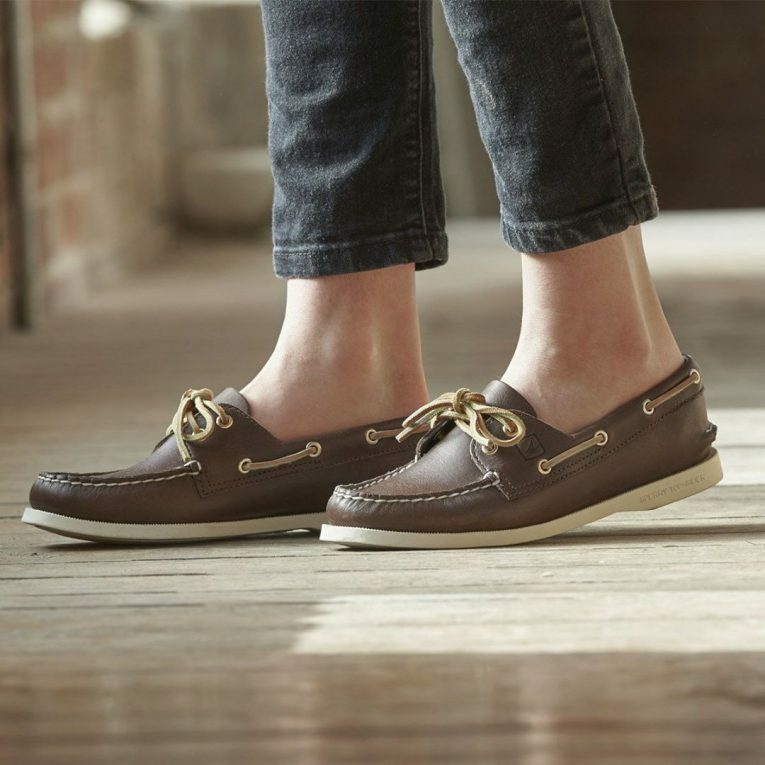 Sperry boat shoes have been around since 1935 when Paul Sperry was faced with a real-life problem of how to maintain his traction on a slippery boat deck. 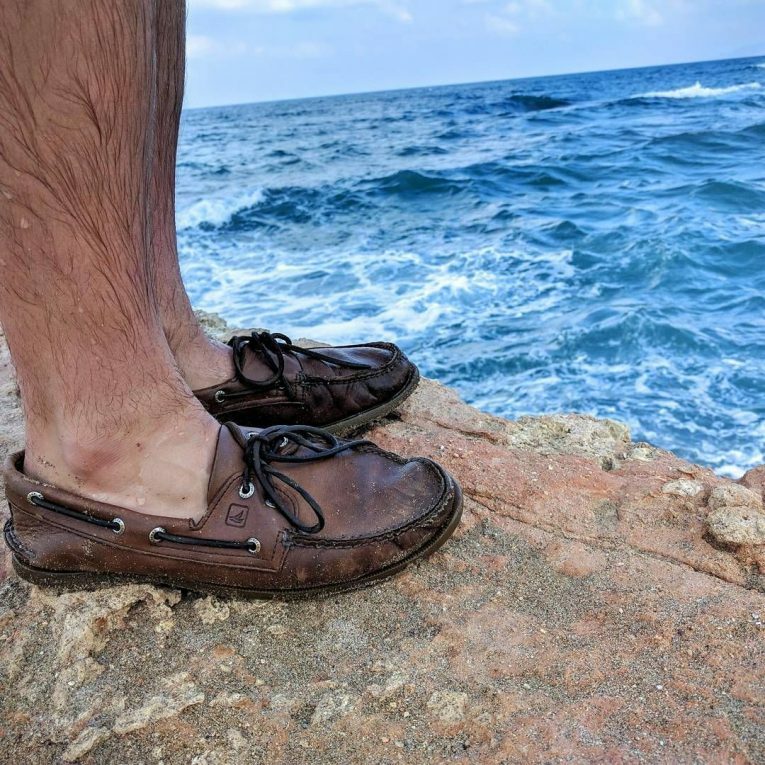 Now, after hundreds of years, his brand is known to be a pioneer for the world’s first non-slip razor cut outsole and is still known to be the best performance boat shoe ever made. 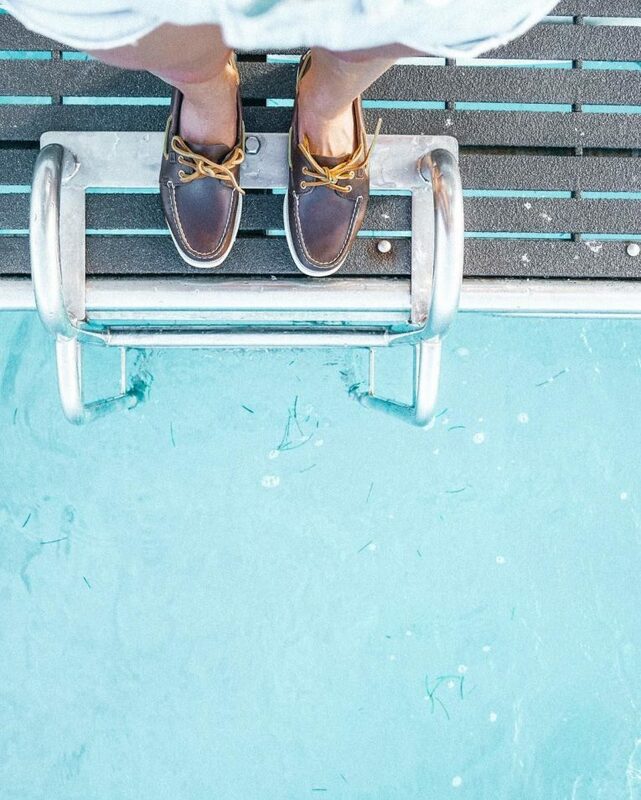 A brand that’s known for its classic design and comfort, all Sperry boat shoes are water resistant and durable, with a unique 360 lacing system, and its Wave- Siping non-slip technology. But how do you style them out? Here are 40 ideas that will surely make you look even better! 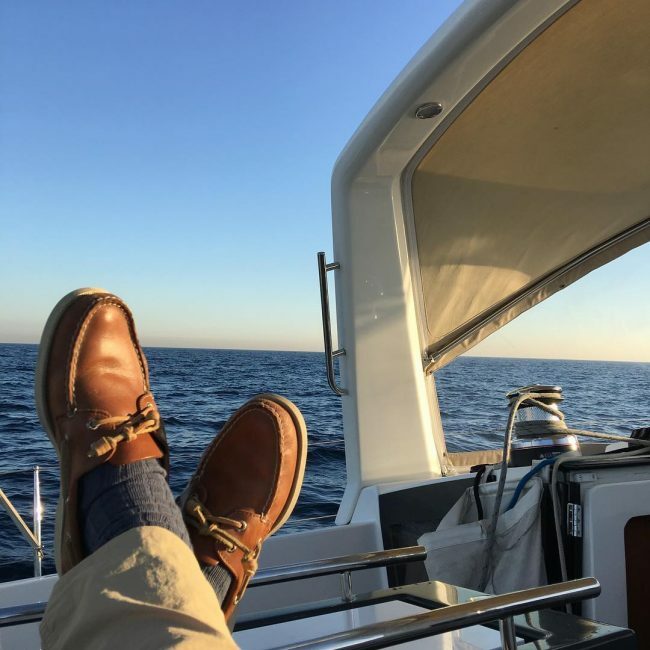 So whether you’re working on the dock, sailing, or even just enjoying the beach, Sperry boat shoes are sure to make you feel as comfortable as possible. 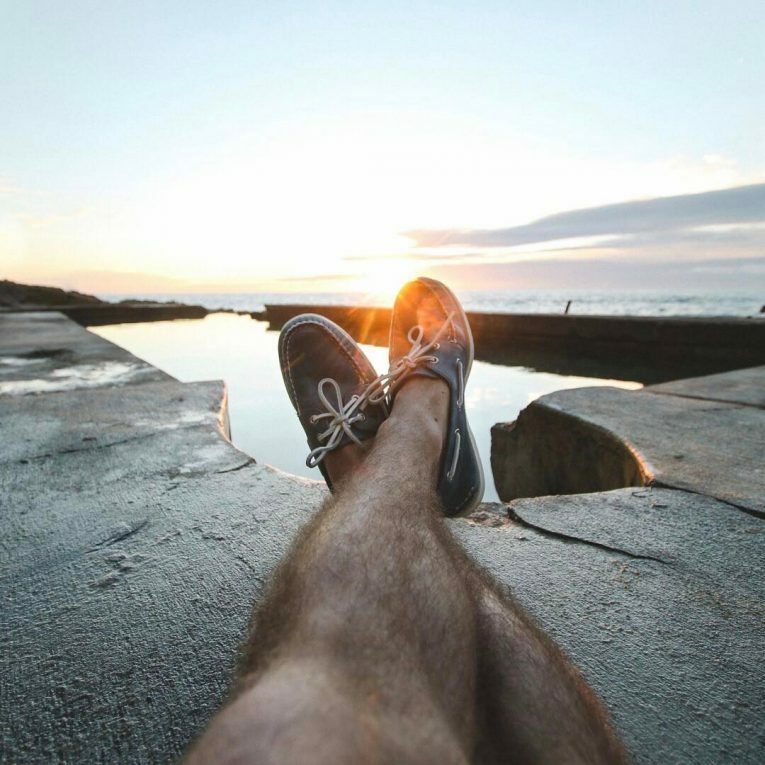 What a better time to start your morning right than to bring a pair of Sperry’s shoes on your way to the coffee shop! 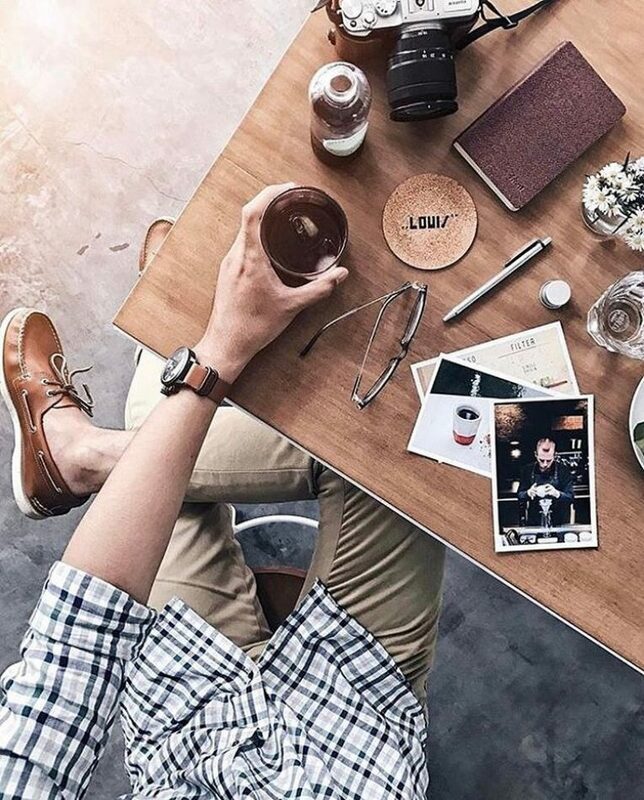 Start your morning right with a pair of your comfiest navy blue shoes and sip your favorite cup on your way to work with your navy chino pants and navy blue shirt. 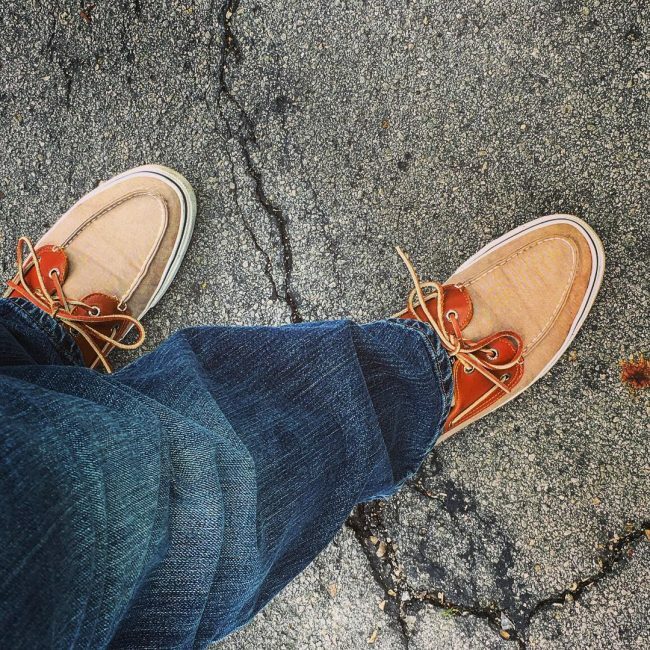 Take your time off and walk your way around with a pair of your orange laced Sperry’s boat shoes and denim pants. 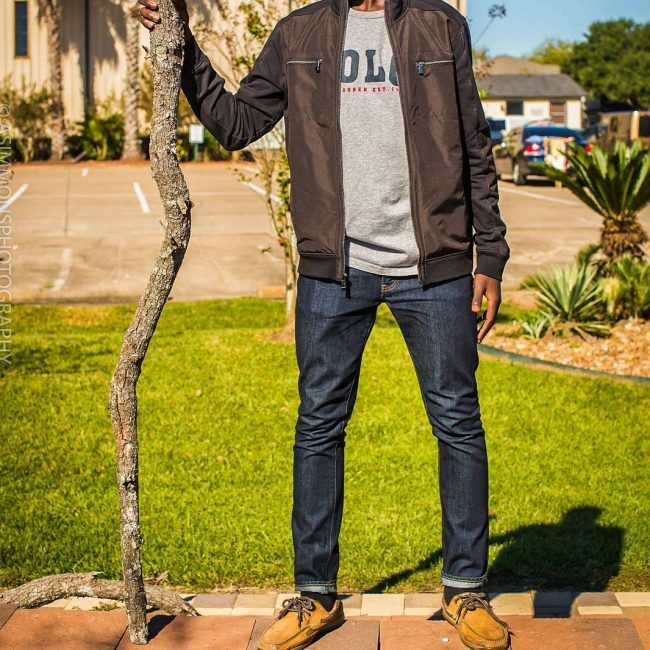 You’ll look amazing without going overboard with this style. 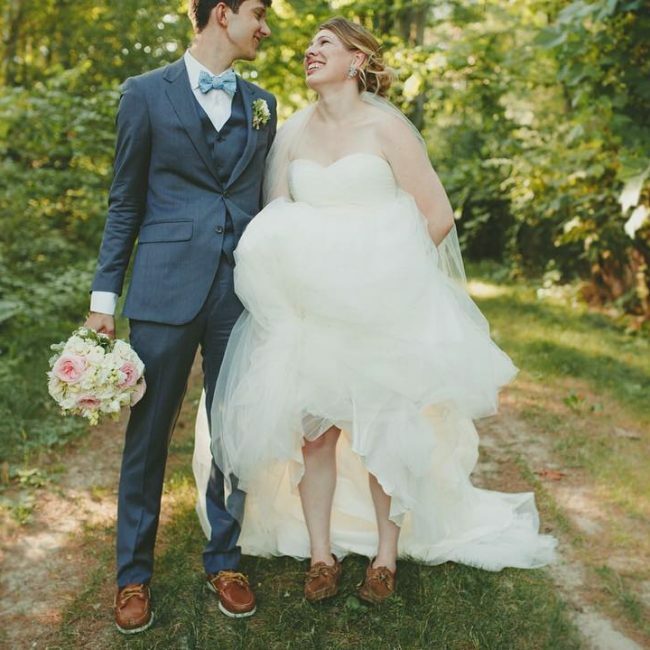 Say “I do” and do it with style by wearing your favorite shoes while you walk down the aisle. 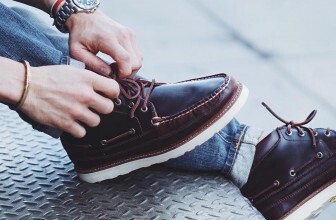 Give the tuxedo an edge by pairing it with your brown boat shoes. 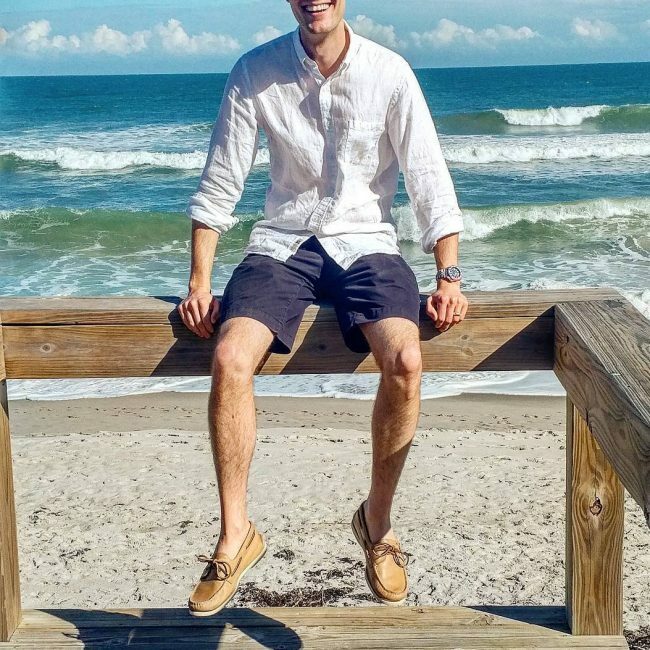 There’s nothing like spending your whole at the beach. 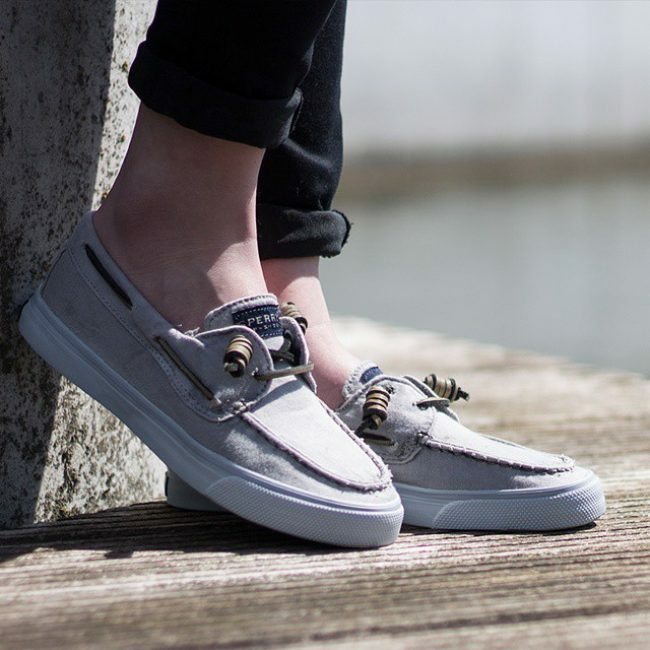 Pick a pair of blue denim boat shoes to complete your summery vibe and match it up with bright striped shorts and a blue checkered top. 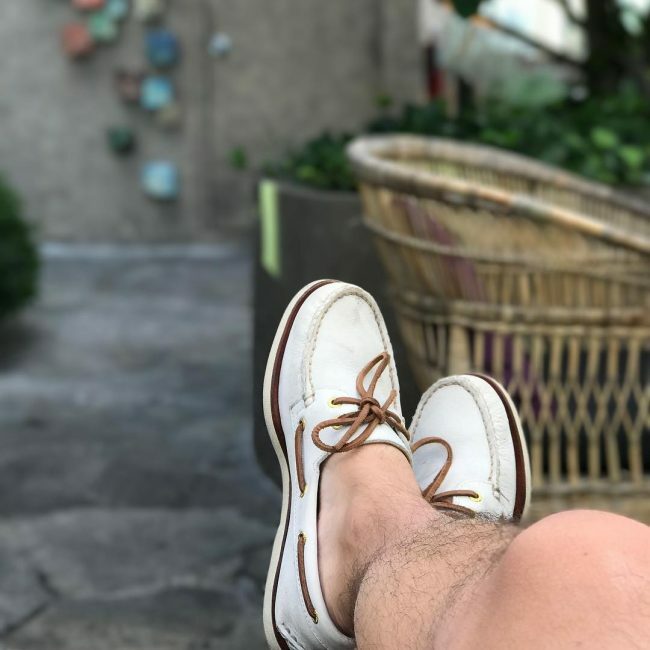 A pair of this shoe Bahama washed and worn shoes paired with skinny black jeans looks best when you’re at a beach or even a port and just breezing your way through the crowd. It looks laid back and gives you a much comfortable yet awesome look. 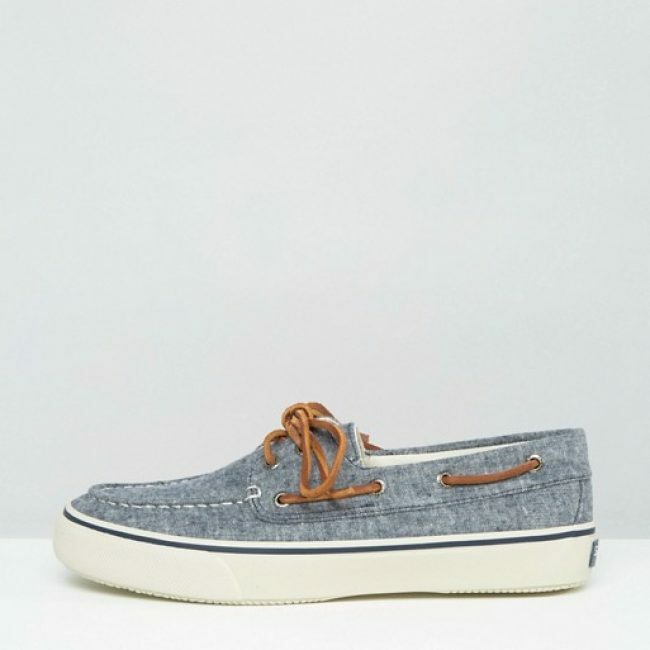 Wearing a pair of blue boat shoes gives it a more chilled-look and a summery vibe. Enjoy your day by matching it with a pair of gray denim pants. 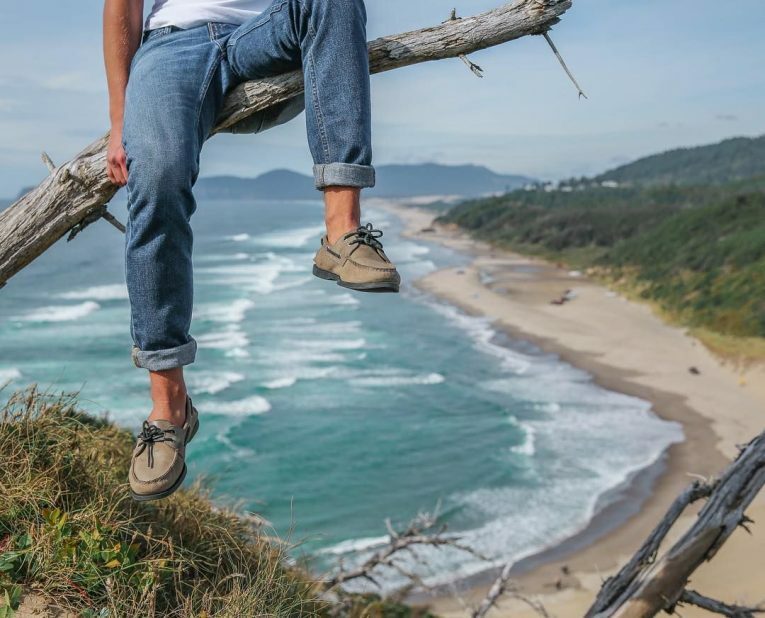 So enjoy your day at just chill at the mall with your Sperry’s. Who says that office attire has to be dull and boring? 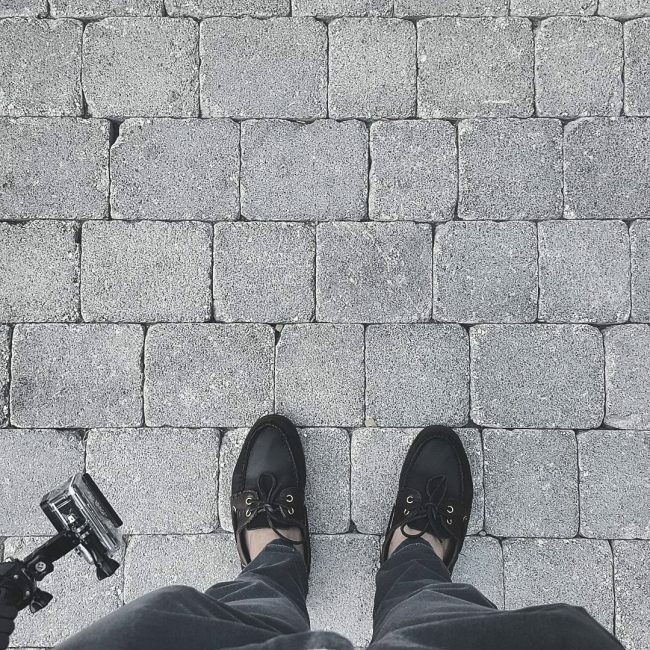 Pair your gray chino pants with your white- laced brown shoes to get your best look. 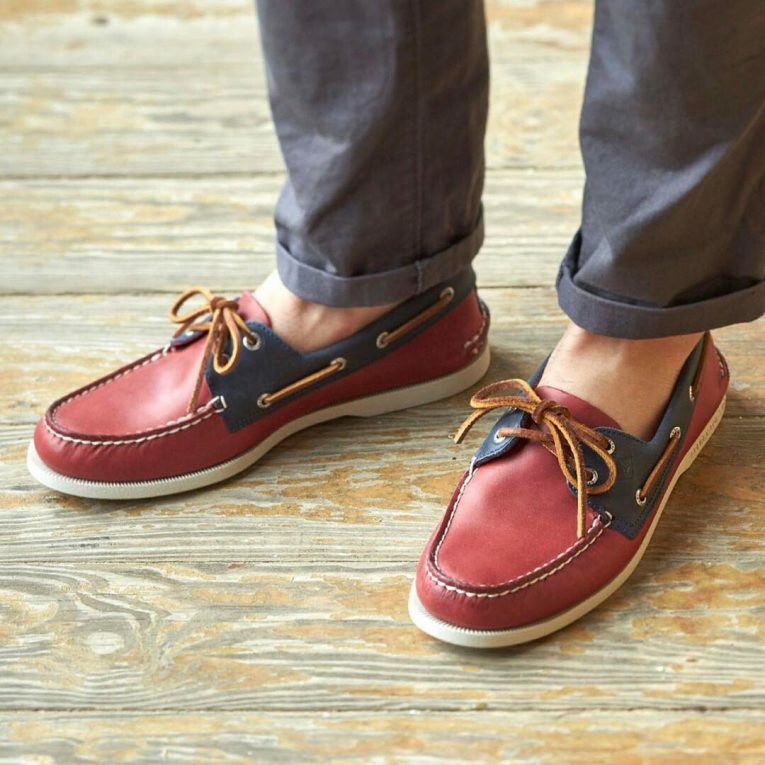 A pair of gamusa boat shoes doesn’t get old right away as long as you know how to maintain it. 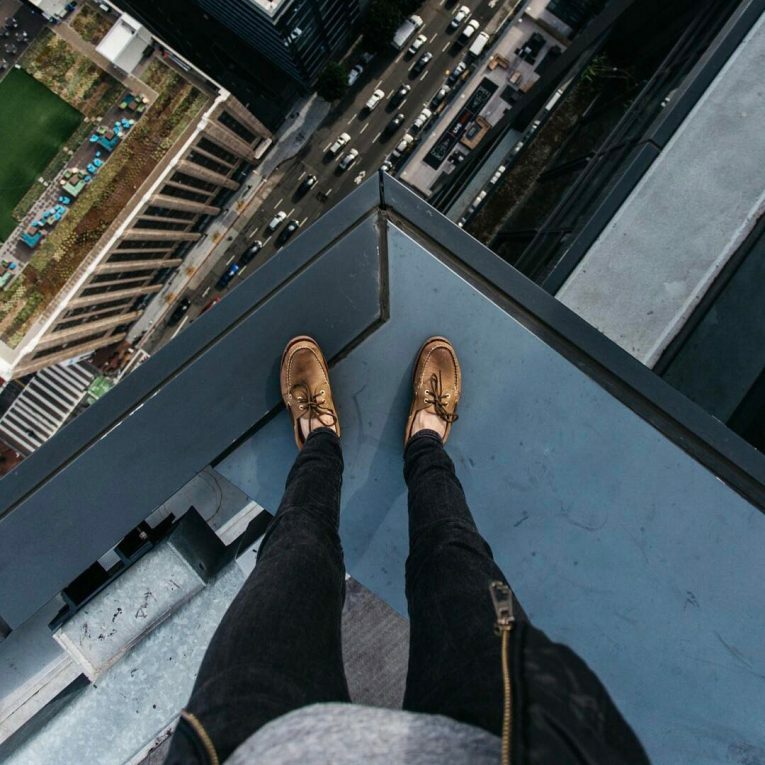 Just make sure that you don’t let your shoes wet because it might ruin it. 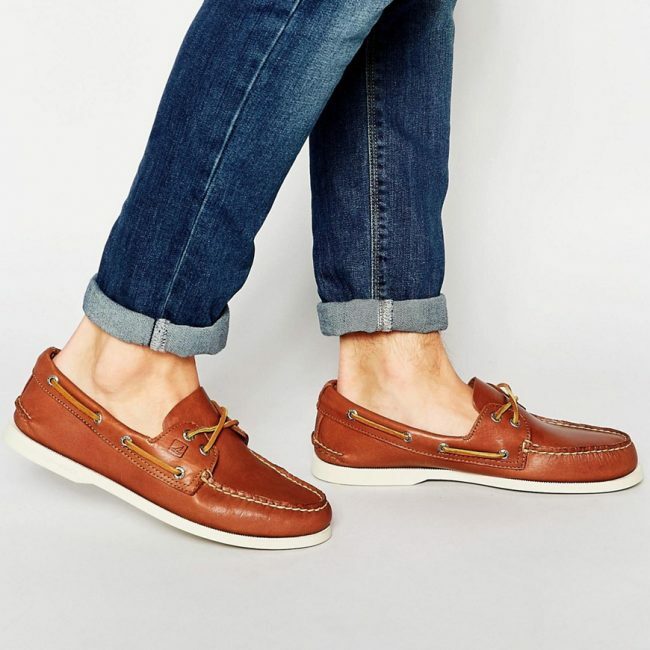 So go out with those brown gamusa shoes matched with a pair of straight cut denim jeans as your spend your summer. 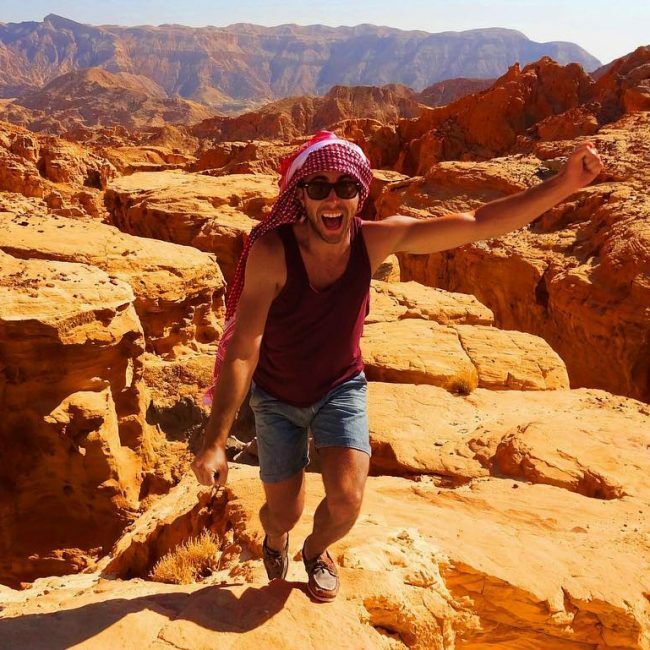 Chill out and relax in the rocky valleys of Utah as you wear your favorite gray- laced brown shoes matched with regular cut denim jeans. 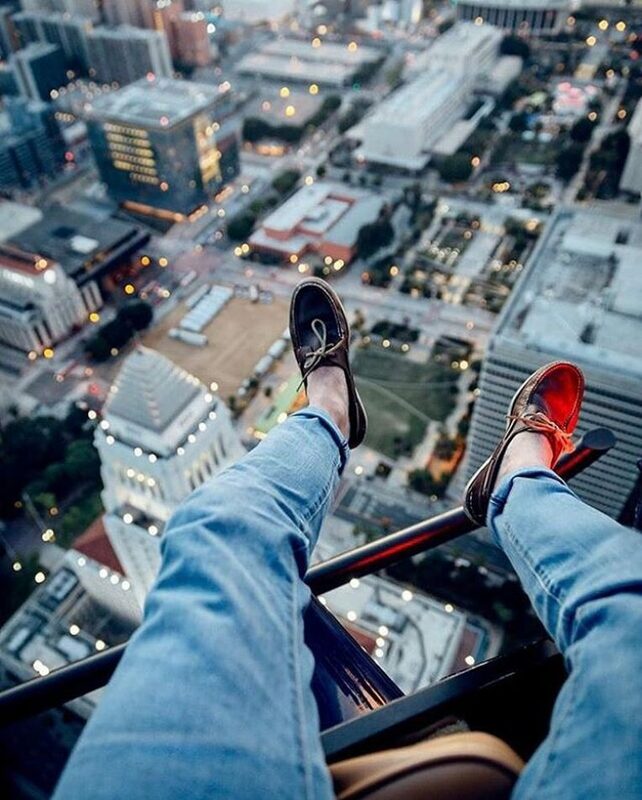 Kick out those bad vibes as you relax and just appreciate the view. 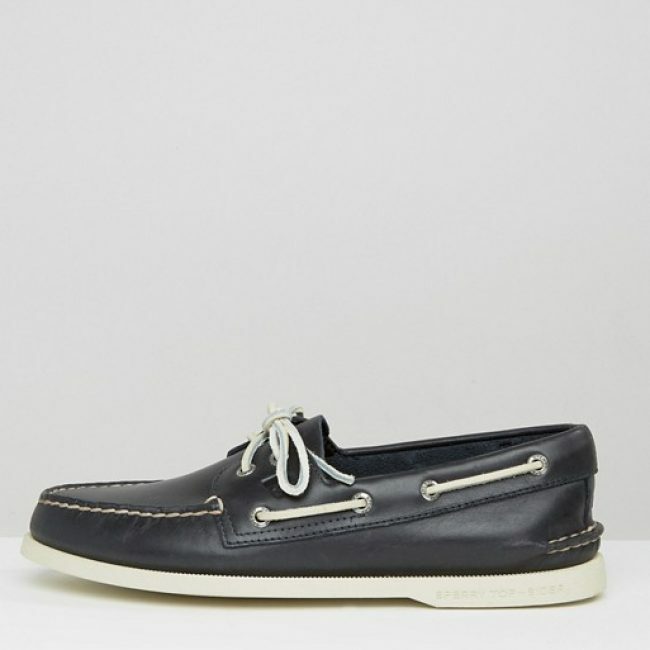 A pair of regular black boat shoes can be a bit tricky to wear. It’s best matched with a pair of black straight cut jeans to maximize its style. 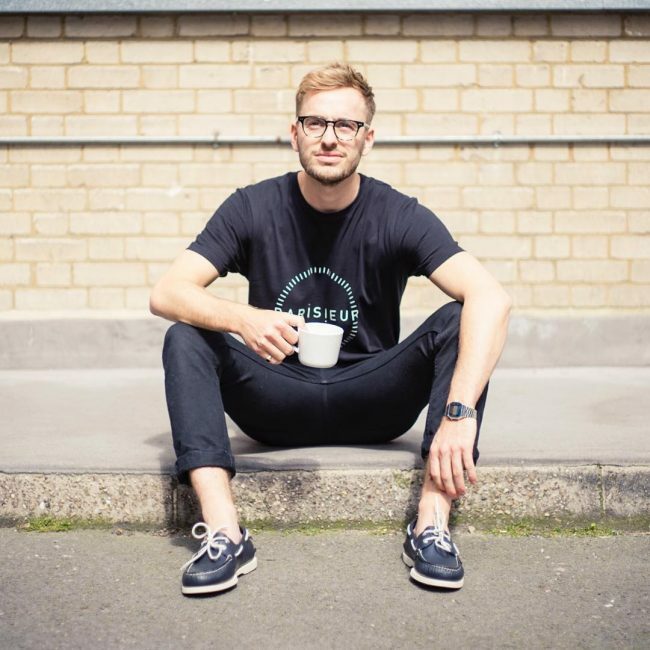 It can also be paired with slacks to break its style and give it a more laidback look. 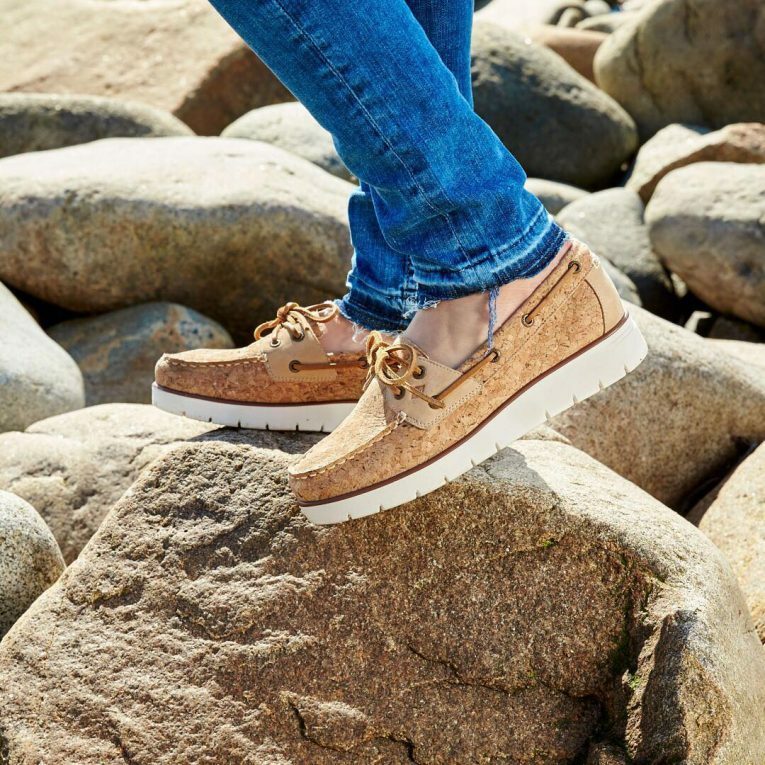 Walk around the park with your favorite pair of Sperry’s tan boat shoes. 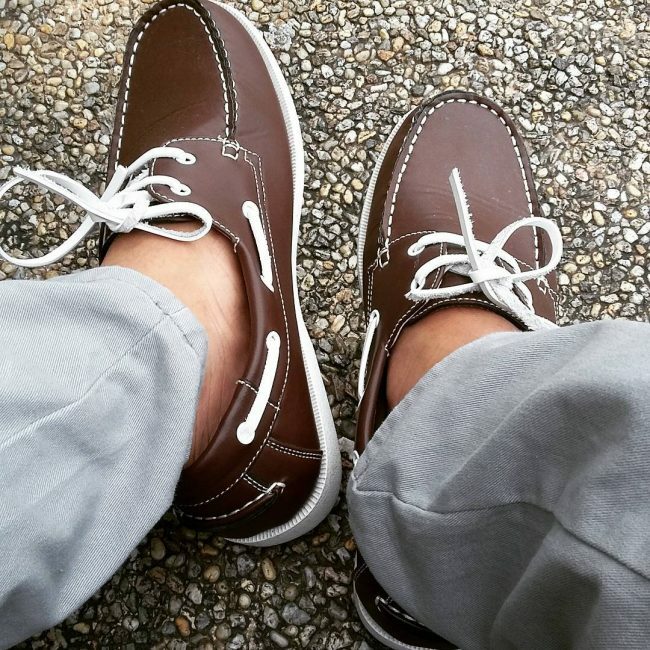 This type of boat shoes is rather versatile and can be paired with almost anything. 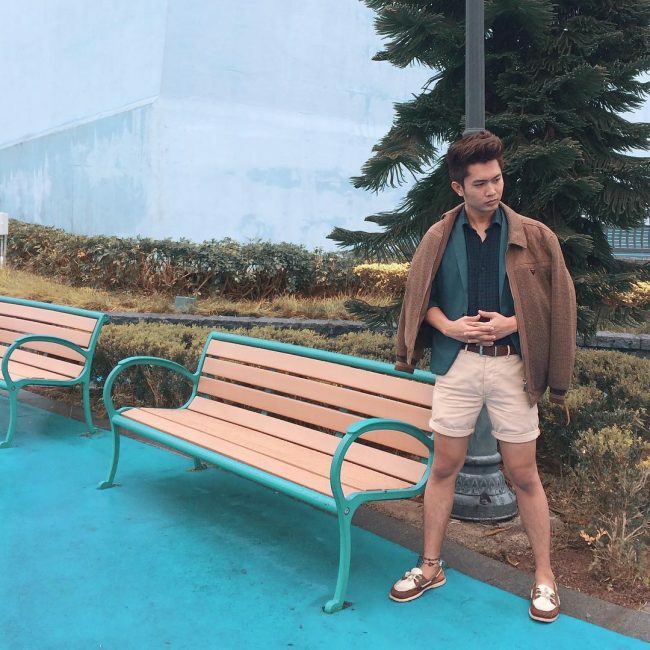 It can give off a formal vibe or a laidback look depending on where you pair it. To break out your style, try pairing this with dark denim shorts and a pair of white linen shirt. 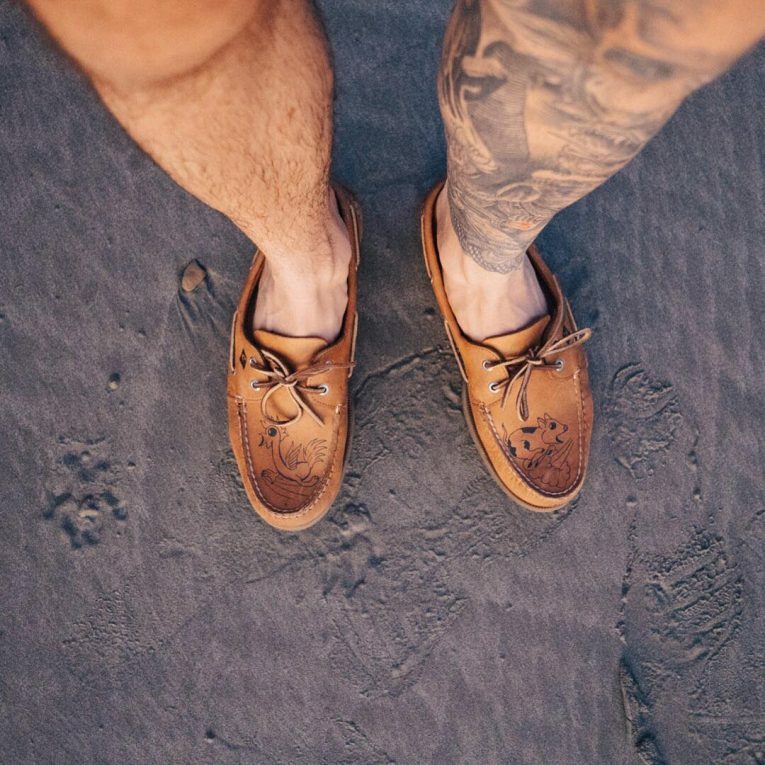 Spice up your style with a pair of Sperry’s light brown shoes and match it with your dark denim shorts to complete your look. Nothing says laid-back than this pair. Weddings can be so uptight and demanding. 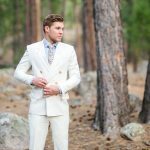 So try to break out the monotonous style by wearing your gray and black gamusa boat shoes with your gray wedding tuxedo. 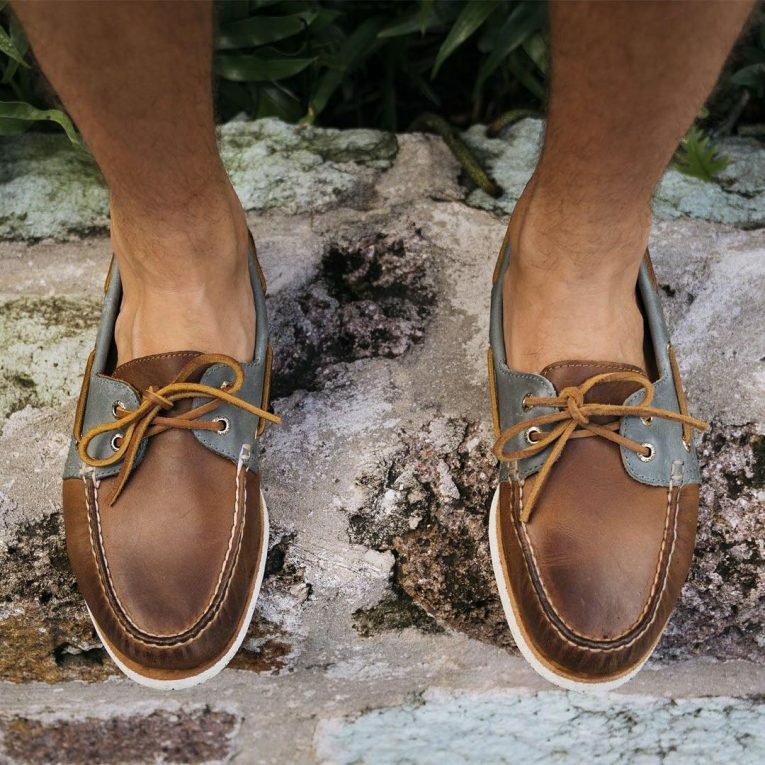 Spend your summer in style by wearing this awesome gray pair of shoes. 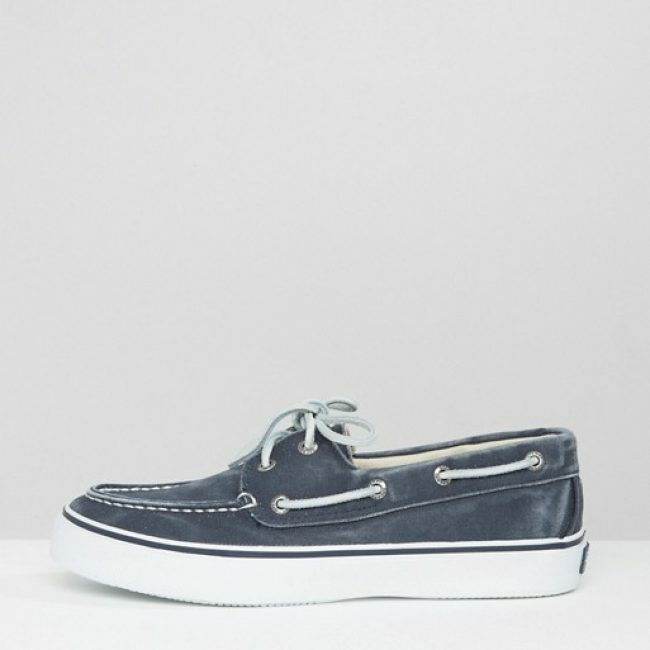 This pair of boat shoes looks great on light colored chino shorts a gray and black striped shirt. It will give you a clean yet laid back look. Yes, you read it right. 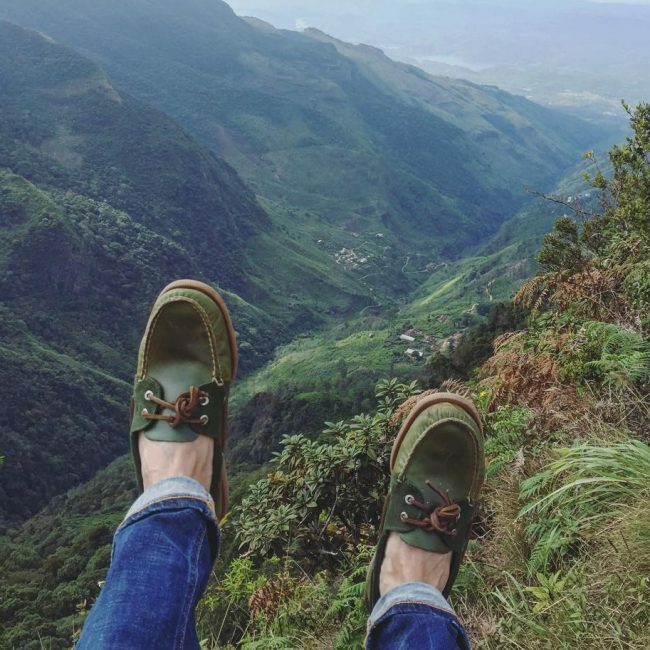 Your Sperry’s boat shoes are so durable that you can wear it while you’re enjoying the view from the mountaintop. 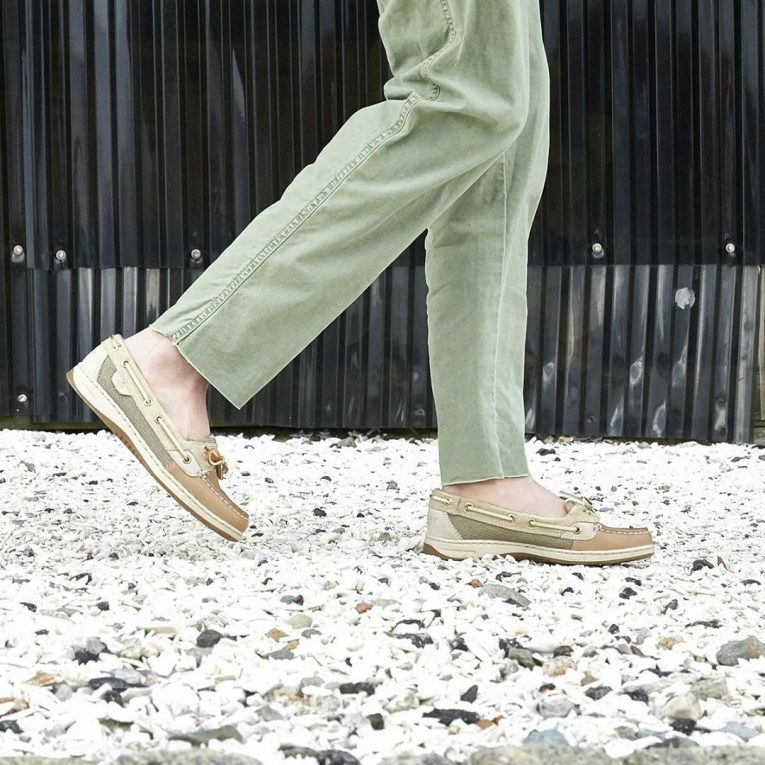 Green shoes give you a more laid- back look. It is best paired with skinny jeans for a great look. It is great if you’re going to a park or just enjoying the sunset. 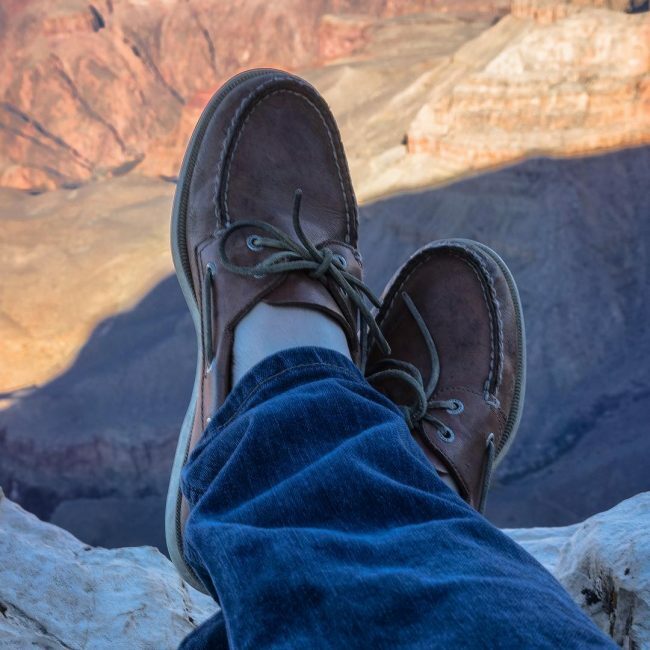 Enjoy the view and take a selfie while you’re at the Grand Canyon while wearing your favorite boat shoes! It’s fun, exciting, and utterly memorable at the same time! 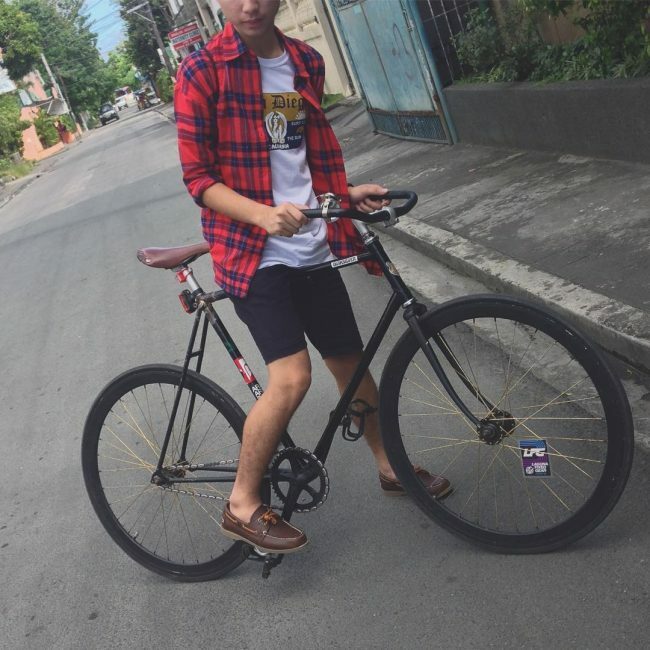 Pair your brown shoes with a maroon sleeveless shirt to give you that comfort under the sun’s heat. 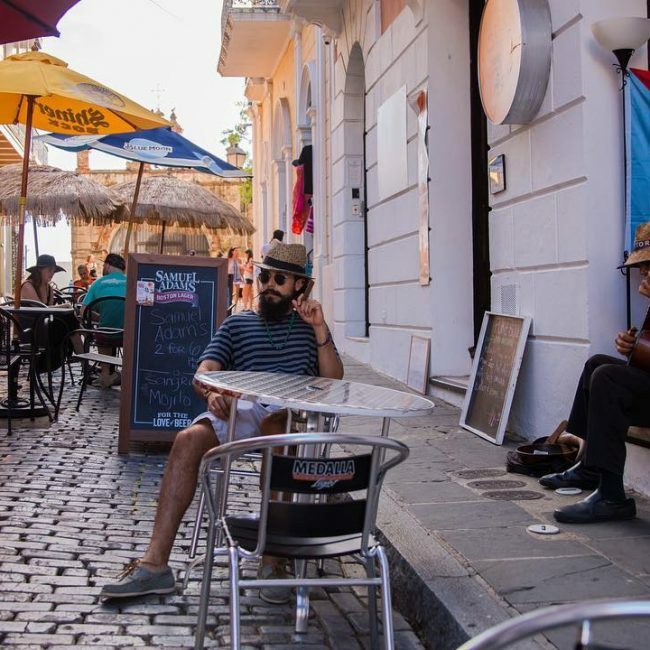 Don’t forget to bring a scarf and a pair of sunglasses for protection against the sun’s heat! 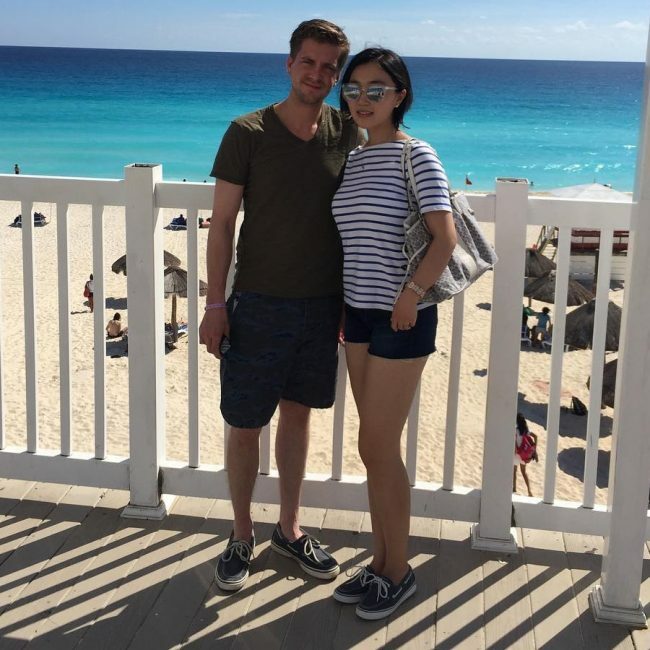 Take a snapshot with your hubby and get the summery vibe while wearing your favorite pair of shoes. 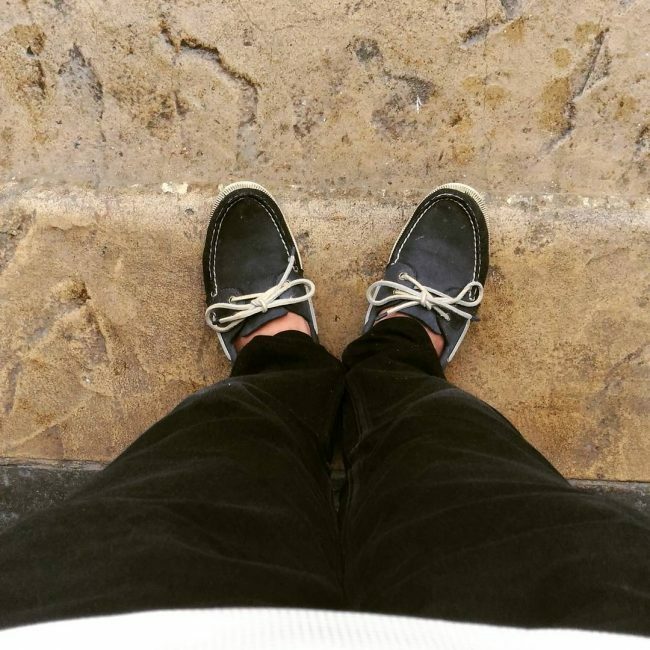 Navy blue shoes matched with a pair of dark pants and a dark green v-neck shirt can complete your look. 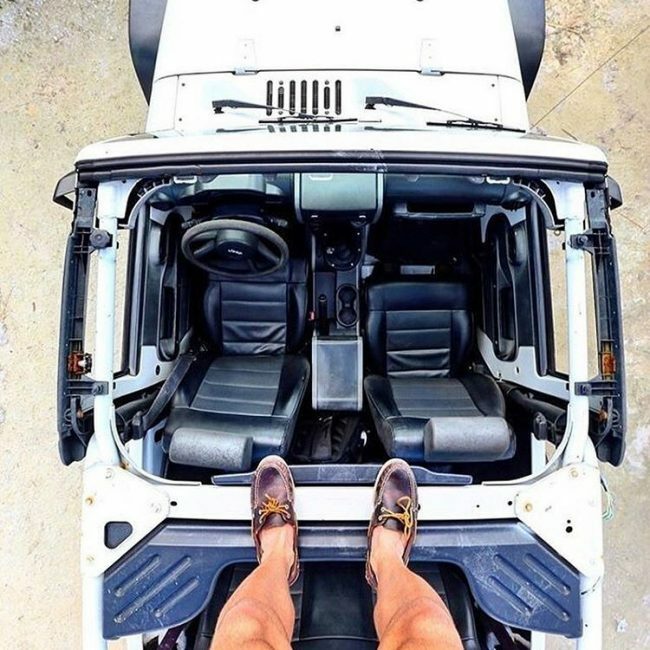 Brown- laced white shoes give anyone a crisp and clean-looking look. It’s a great color and can be paired with any color. 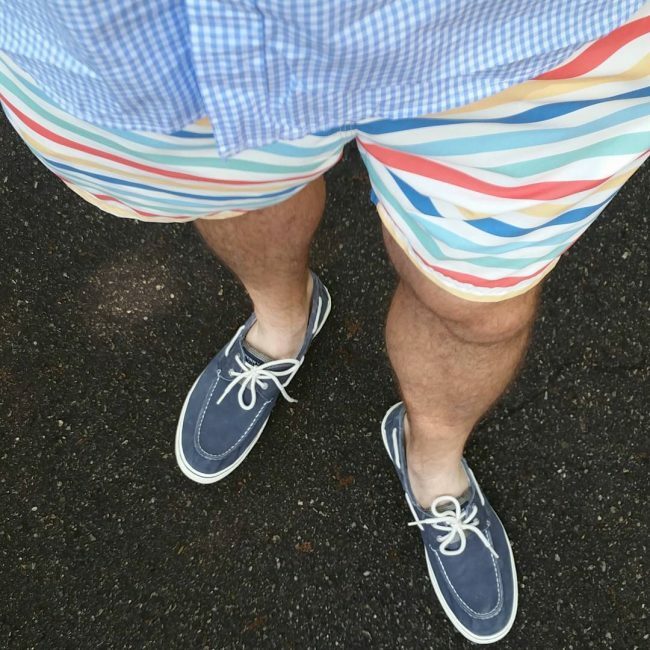 The only challenging part of wearing a pair of white boat shoes is maintaining its color. 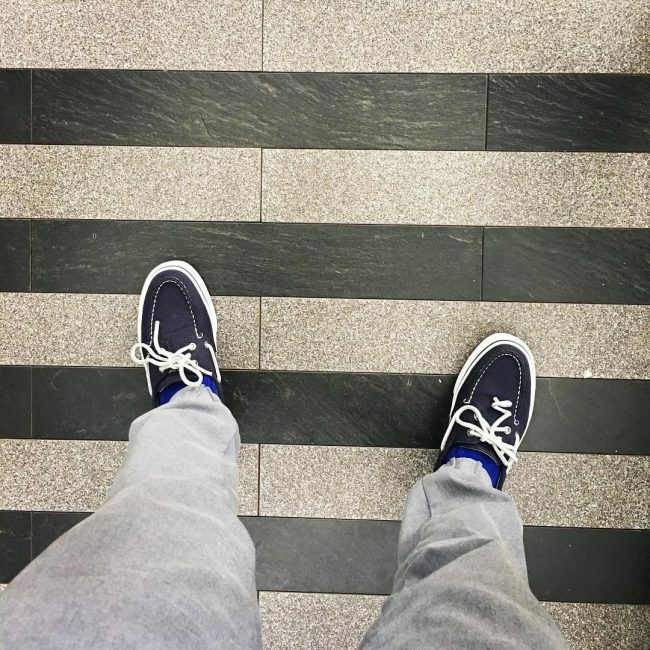 You have to make sure that your shoes will remain white to keep its look. Show off your laid-back side by wearing a pair of white- laced black shoes with a pair of regular- cut black jeans. It will make your look stylish yet laid-back at the same time. You’ll be an eye candy if you match your clothes right. 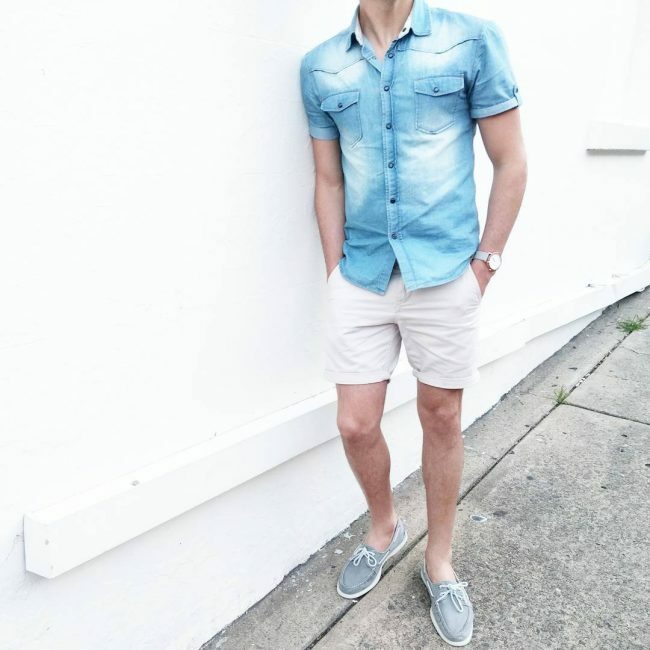 Pair your gray boat shoes with a white chino shorts and denim buttoned short sleeved shirt to get that party vibe. 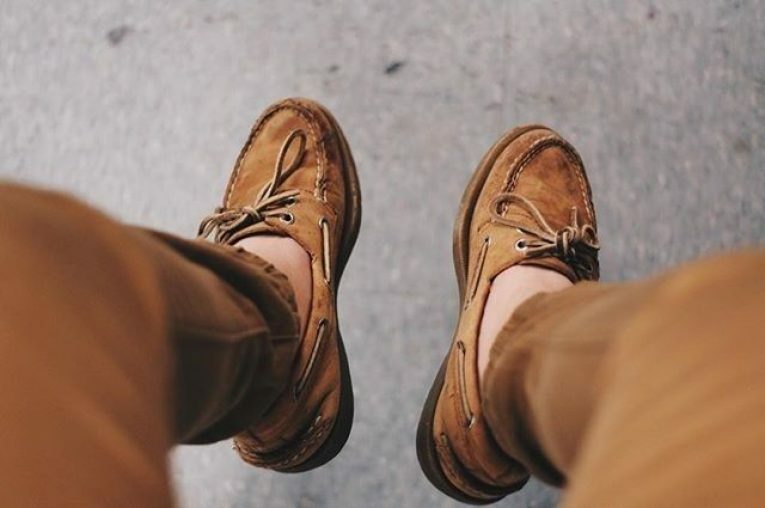 People who are adventurous with their style mostly wears a pair of mustard boat shoes. The color is a bit eye-catching, so it’s best paired with something simple to make sure that your style will stand out. 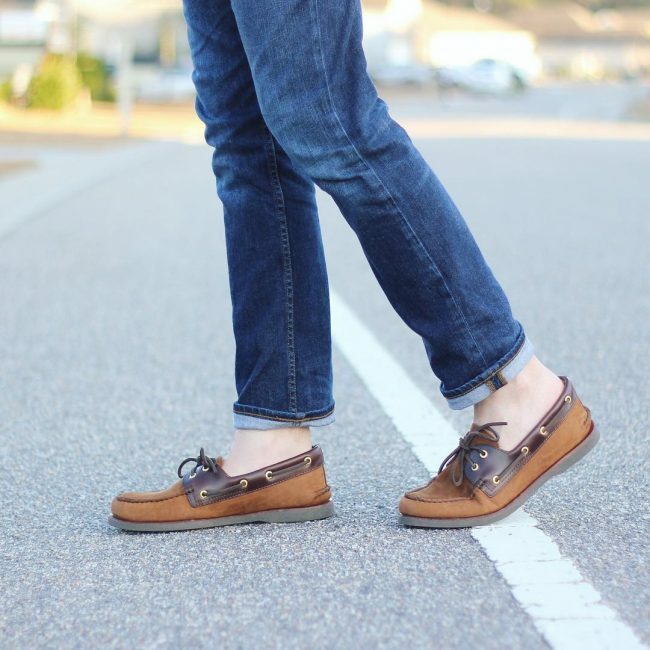 Pair your Sperry’s mustard boat shoes with your favorite straight cut denim pants and a great shirt to complete your look. 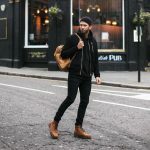 You can even add your brown jacket to add character to your style. Play it safe by combining two of the same color palette in your wardrobe. 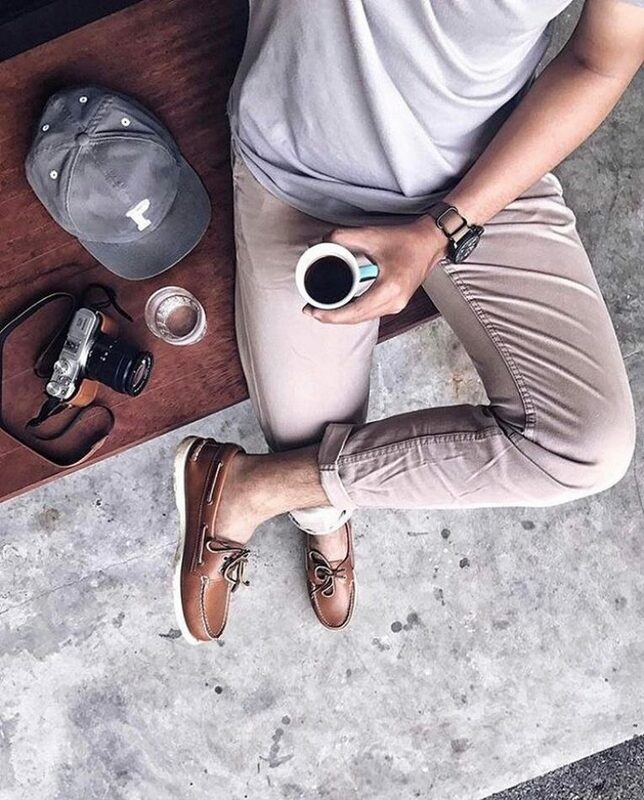 Mix your white and brown boat shoes with a pair of light brown chino shorts and your navy blue button down shirt as your start your day. You can even wear an emerald green coat and a brown jacket if it gets too cold. Being safe is sometimes the best option. If you don’t know what to wear, then try just simply to mix and match two colors. 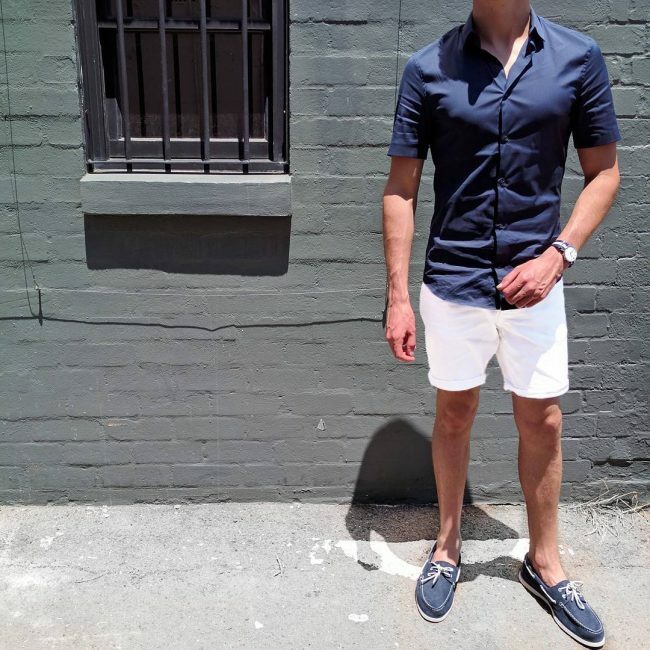 Pair your navy blue shoes with your white shorts and your navy blue button down short sleeved shirt to start your day. Yes, fine dining in the middle of the ocean wouldn’t be complete without wearing a pair of boat shoes. 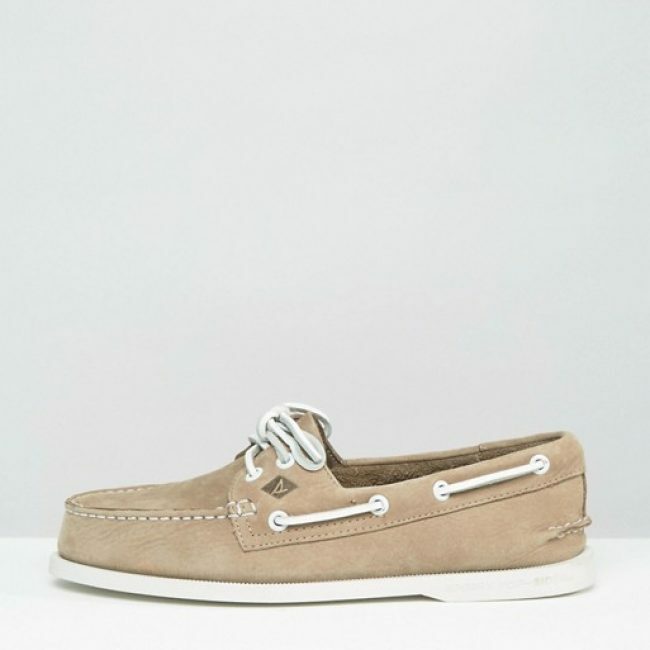 So do it with class and with style with a pair of Sperry’s brown shoes and light brown khaki pants. 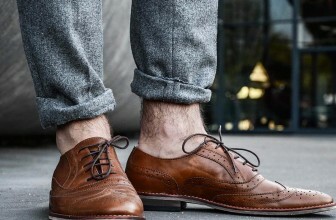 Don’t forget to wear a pair of gray socks to complete your style.